It is not surprising that human resource management is increasingly becoming a subject or topic of interest in several training and development seminars. Human resource management (HRM) is likewise a popular major in bachelor's degree programs in colleges today. There is a growing recognition of the need for some formal training in managing human resources and this stems from company leaders' and managers' expectations that HR practitioners ought to contribute to workforce competence, organizational effectiveness, and organizational sustainability. Institutional culture is the sum total of assumptions, beliefs, attitudes and behaviors that an institution or organization’s members share, profess and act out. An institution defines its own measures of excellence and success, and builds its own culture to support its vision, goals and standards. 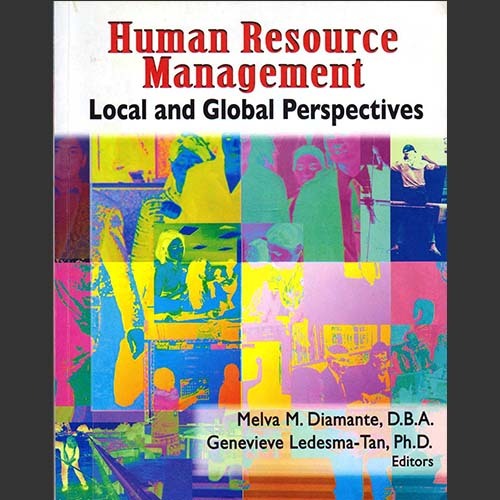 This book, authored by Dr. Melva M. Diamante and Dr. Genevieve Ledesma-Tan, is a good guide to those who want to enhance their knowledge in human resource management. 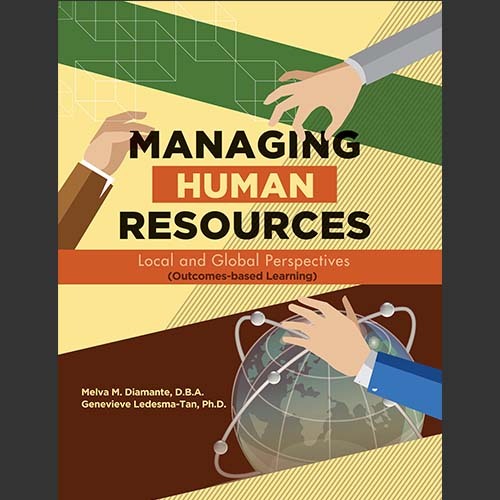 It is intended for students of Human Resource Management (HRM) and HR practitioners who are always in search of effective techniques and contemporary trends in human resource management. “People make or break organizations” as the president of the Asian Institute of Management aptly states in the book’s foreword. 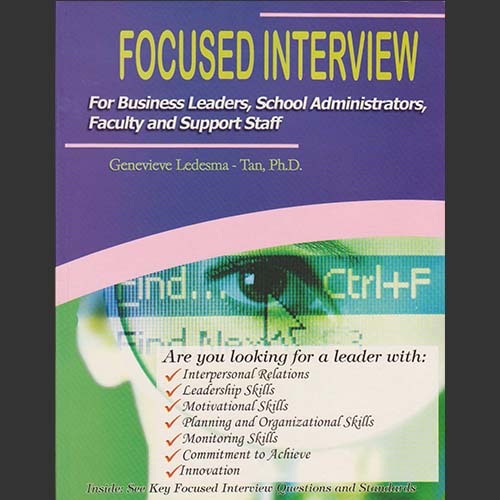 Finding and hiring the right people that would positively contribute towards organizational effectiveness is the ultimate goal of a focused interview. Critical job success factors are emphasized as measurement of a job candidate’s suitability within an organization. The Weekly Planning Schedule (WPS) speaks for efficient time management and effective work execution. This book is an actual manifestation of the WPS that work. The authors, Dr. Genevieve Ledesma-Tan and Dr. Marl V. Ferenal together with the other contributors Dr. Remedios D. Lagera, Marjorie G. Tangog and Ma. 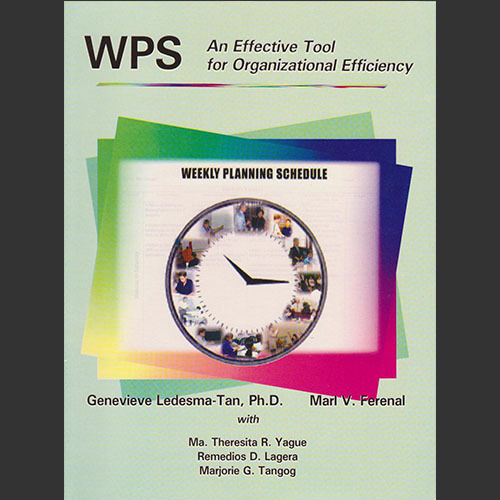 Theresita R. Yague, believe that “people should manage time and not time managing them.” This WPS book provides guidance for quality management and models for quality execution of institutional goals. One of the most important assets of any organization is their people. A better way to maximize their potential and productivity is to identify the roles they are playing in the organization and the expectations in terms of functions, outputs and behavior. The best reference to enumerate these is the job description. No other topic in human resource development and management comes close in relevance and urgency as that of job ranking and salary scheme evaluation. Indeed, an organization’s success and future hinges on how it values the human resources it employs. AASHPI has come up with a comprehensive evaluation and compensation scheme that may serve as a well-founded template for organizations to come up with their own. Organizations are continuously pressured to be productive and achieve quality standards due to globalization. 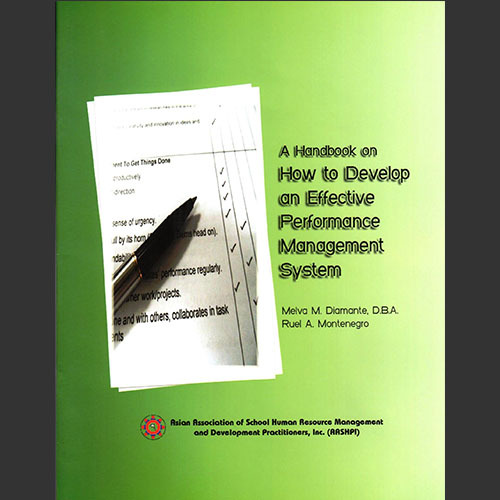 With this manual, Key Result Areas are introduced to provide targets to aim for while Rubrics measure how far along has an organization achieved its identified Key Result Areas. Institutional culture, vision-missions, and other subjective priorities are tied-in to KRA aspects as well as to facilitate organizational relevance in competitiveness. This handbook is the answer to school human resource practitioners and administrators who are in search for the best performance management system that will ensure alignment of employee performance and the achievement of organizational objectives. It is a gem of concepts, insights, and best practices put together for school human resource practitioners to refer to, use, and benchmark with. 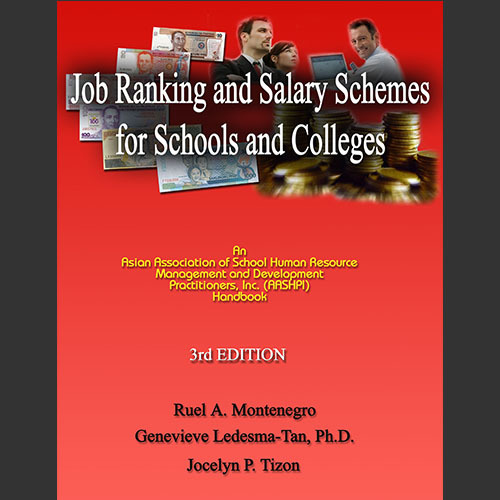 This report presents new and detailed results of the profile and organizational features, compensation and benefits management practices of schools in the National Capital Region and in other regions in the Philippines. It is based on a collaborative effort of officers and members of the Asian Association of School HRMD Practitioners Inc. (AASHPI).